Did you know that dental amalgam (also known as a silver filling) does not actually bond directly to your teeth? Amalgam is a strong and robust dental material, but despite its internal strength, amalgam fillings are actually held in place by their size and shape. This means that rather than the use of bonding agents or etching techniques that hold newer fillings in place, some of your surrounding tooth must be removed and a niche carved out for an amalgam filling to be retained. 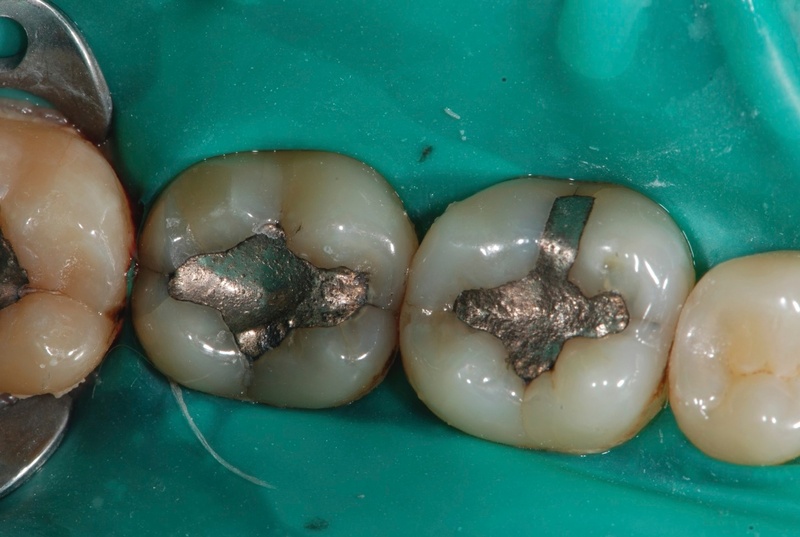 In some cases, old amalgam fillings may need to be replaced (left), particularly if they are leaking. Replacement fillings (shown right) are available in a range of tooth coloured & biomimetic materials. That wish to improve their dental aesthetics. That would like to replace a cracked, leaking or failing filling. Who are concerned about amalgam allergy. Who are considering white fillings, porcelain fillings or composite fillings. Who would like to reinforce teeth, and prevent cracked teeth and tooth cusps from fracturing. Do you know if you have any leaky fillings? Over time, the lack of bonding between an amalgam filling and the surrounding tooth can lead to a ‘leaky filling‘. A leaky filling is one that has lost its initial fit and is unable to seal the cavity properly. In some cases, decay may creep into gaps behind the silver filling itself, and this can put the surrounding healthy tooth structure in jeopardy. Everyday use of your teeth, such as chewing, involves many small movements and high impacts. Due to this constant use, any filling material will inevitably lose some of its structural integrity over time, which can leave your tooth free to break away from the filling. One of the greatest improvements in modern dentistry is the availability of materials with far superior aesthetic properties than their older counterparts. Newer materials, such as those used in porcelain and composite resin fillings, are ideal for matching the colour of your surrounding teeth. “A simple way to obtain natural looking dental aesthetics is to remove the amalgam fillings in your teeth and replace them with tooth coloured fillings, such as composite resin fillings,” says Dr David Tuffley. Health reasons for amalgam removal exist, and research and clinical evidence shows that some patients can even be allergic to dental amalgam. If you are concerned about this, our team can test for the presence of this allergy in you or your family. 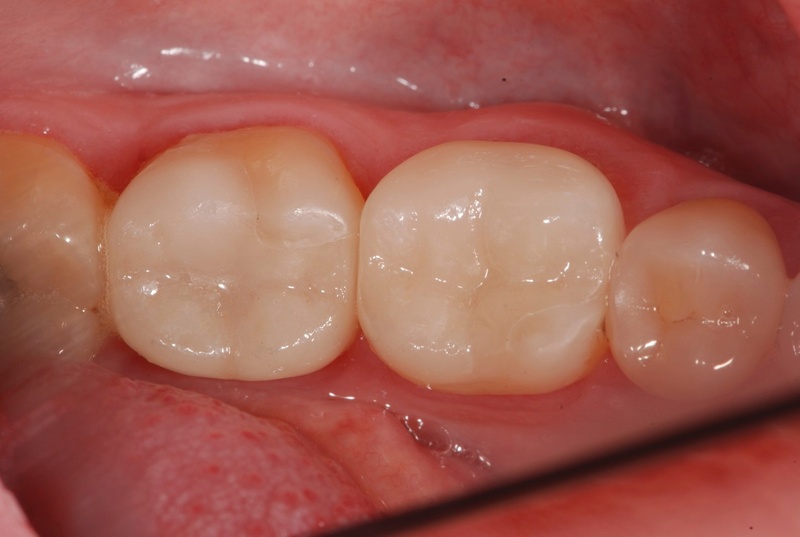 From a clinical perspective, it is important to acknowledge that amalgam fillings are not necessarily detrimental to your well-being and that not every amalgam filling will fail at the same rate. This is because every tooth in your mouth has different contours, bite zones and shapes – and all these differences need to be taken into account when deciding whether a filling replacement will improve the aesthetics and strength of each tooth. This means that any filling you are concerned about should be individually examined by your dentist before deciding on amalgam replacement or removal. “Replacement for each of your amalgam fillings should be considered separately unless complete replacement aligns with a larger treatment plan, an undiscovered allergy or your desired aesthetics,” Dr Tuffley says. Established in 1976, BOH Dental has seen the adoption of many new technologies and materials within the dental industry. Our dental team are in the perfect position to gauge the performance of newer technologies for our patients, and our dentists in Brisbane have been doing so for over forty years. Lately, we have seen more and more controversy emerge about dental amalgam, and our dentists are able to help you navigate these conflicting viewpoints. It is our goal to tailor a dental treatment plan that focuses on your individual needs, and we also provide Holistic Dentist Services for interested patients. We regularly discuss treatment options with our patients, and we are happy to provide consultation to anyone debating the replacement of their amalgam fillings. After all, we find there is more to amalgam replacement than just a filling!